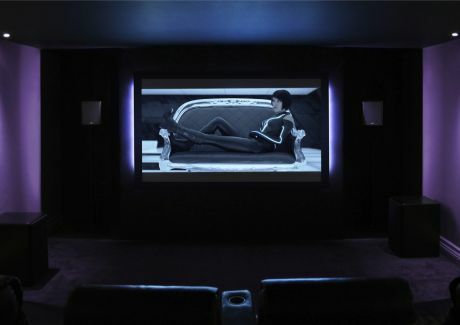 Use our knowledge, experience and passion for Home Cinema Installation and design! Aperio Audio Visual are proud to be designing and installing Home Cinema systems that outperform far costlier packages and even your local multiplex. You want a Home Cinema or Media Room that is spectacular, transporting your attention and focus so far from the room you are in that you can forget where you are and become totally immersed in the rich visual and audio experience that good films and box sets offer. You also want to watch HD and 4K UHD at its very best whether you are mad about sport, documentaries or current affairs. 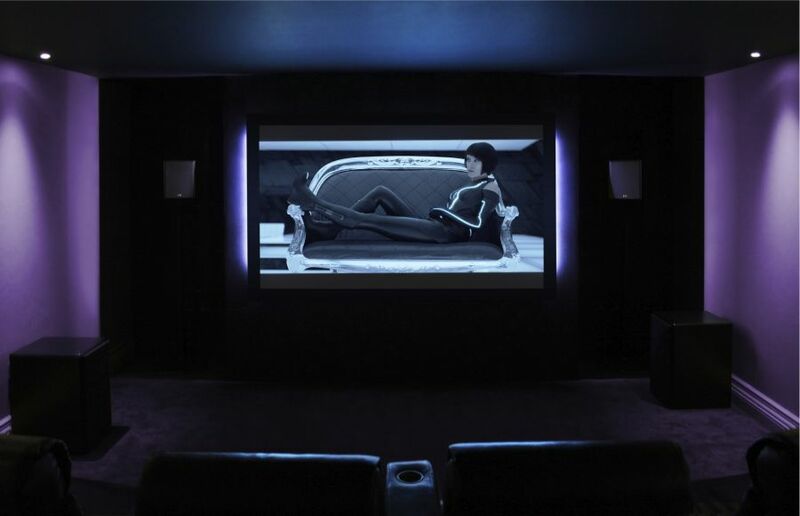 But how can you be sure you’re going to reach this level of Home Cinema perfection given the overwhelming range of systems and technologies available to you? There’s an easy way to avoid this problem: get in touch with us and instantly benefit from our wealth of in-depth home cinema and media room experience. Learn what can be done now for example with the latest 4K and UHD projectors and surround sound systems including the immersive audio, object-based, Dolby Atmos, Auro 3D and DTS:X. 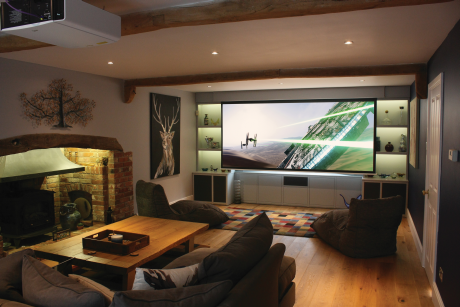 Work out what you really want from your Home Cinema system or Media Room. If you don’t know the right questions to be asking, we’ll make sure you do. Discover what options you have for making the whole system easy to drive. This is a critical step! 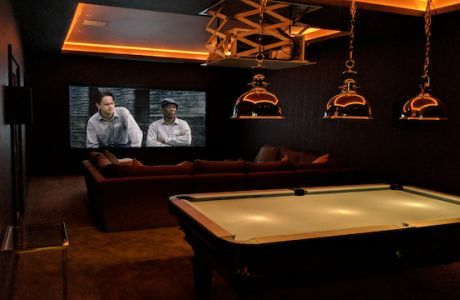 The process is designed to de-risk your Media Room or Home Cinema installation so that you really get the best value for your investment in a way that is as future-proof as possible. Then you really can sit back and enjoy the show! Whatever stage you are at in your thinking, contact us today to talk through your plans. Is it only films from a DVD or Blu-ray player that I can watch? Definitely not! We have customers that use their cinemas for anything you can think of. Films, Sky, Virgin, box sets, catch up and on-demand TV, games consoles such as a Sony Playstation and Microsoft XBox, Netflix, YouTube etc. Sporting events and music concerts, especially when live, are also extremely popular. We can even add in Apple Airplay or Google Chromecast so you can share videos, photos and music from Apple or Android devices. Isn't it complicated and hard to use with multiple remote controls? Absolutely not. 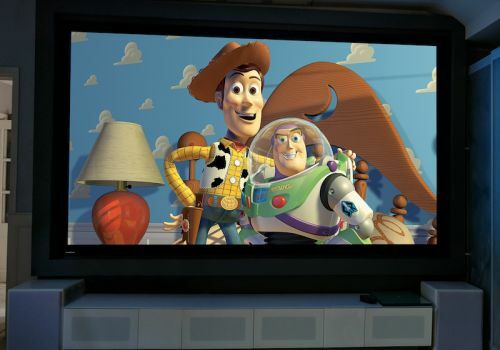 We set up your home cinema so you have only a single remote control that operates everything. This includes the projector, screen, audio, Blu-ray players, Sky etc. We can even control your blinds and lighting. You can even operate it with your voice using Amazon Alexa. It doesn't get much easier. How do I know I'm going to get a good result in my home? Because we take a great deal or pride and care in our work to ensure you do get a good result. Read our testimonials, case studies and calibration pages for re-assurance that you're in safe hands.